HP TET Application form has released. Check below how to apply for Himachal Pradesh Teachers Eligibility Test. 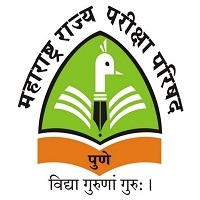 It is conducted by Himachal Pradesh Subordinate Services Selection Board (HPSSSB). Only eligible candidates can apply for this entrance. 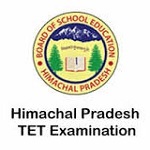 Those aspirants who are willing to move in the teaching line in the state of Himachal Pradesh can apply for Himachal Pradesh TET 2019. This TET is conducted at two different levels i.e. on primary levels and upper primary levels of teachers. It is mandatory for the candidate to attend this examination in order to get shortlisted for primary and upper primary levels of teachers. Applicants can apply Online for the Teachers Eligibility Test on the official website of Board hpbpose.org. It is advised to candidates that check the eligibility criteria on prospectus uploaded by Board on Official website, before applying. Read the Instructions carefully given in Prospectus and on Board website before you start filling application. Applicants can apply Online on Board website from 16-7-2019 to 06-08-2019.No application will be entertained thereafter. Applicants are allowed to submit only one application form against the same subject. Multiple submissions for the same subjects of a candidate can cause of rejection. The Admit card will be uploaded on the Board website. The Admit Card will not be sent to candidates separately by Post. Application form through fax/post shall not be entertained and the board will not be responsible for informing such candidates. It is mandatory to pay the application fee before the last date as per your category. The examination fee is Rs.800/- for General and its Sub-category (except PHH) and Rs.500/- for OBC/ST/SC/PHH categories. The Applicants are strongly advised to apply before the deadline of submission of online application. Start the application by clicking on register link and fill the application form. Applicants are advised to note down his/her system generated Application number. The candidate should provide all the details while filling the application form and column shall be kept vacant. After successful submission of data, the application number will be generated and it will be used to complete remaining steps and also required for all future correspondence. For subsequent logins, candidates will be able to sign in directly with his/her respective system generated application number and date of birth. The application number is required for subsequent operation(s); hence candidate should keep a printout of the same. Applicant must upload his/her scanned images of photographs and signature. The scanned images and Photograph should be in jpeg format only. Size of photo should be greater than 15kb and less than 20 kb. Size of signature must be greater than 10kb but less than 15 kb. Applicant has to pay examination fee via online payment mode using credit /debit card. After final submission of Online Application form, the candidate will take the printout of application form and after taking the printout of the same will affix the same copy of photograph used before. The photograph will be pasted on the form and no stapling is permissible. Candidate after affixing photograph will put his/her signature on the downloaded application form and send it to the S.O(Departmental Examination Branch), HP Board of School Education, Dharamshala (Kangara)-176213 by post or can directly submit to the counter of the Board office. 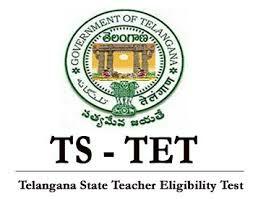 I did BBA after that MBA in HR and minor finance and after that B.ed so i just want to know that i am eligible for TET Exam, I i am eligible then in which category i need to fill like TGT arts or LAnguage. Please help me.